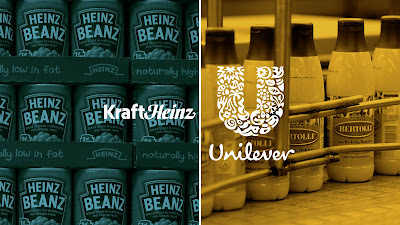 The recent news that the massive Food Company Kraft Heinz is attempting a takeover of the British-Dutch consumer goods company Unilever has caused much debate, and for many different reasons. In this post, we will look at the particulars of the proposed deal and its potential effect. Yet, it will be important to contextualise the proposed deal against both the history of Kraft Heinz as a company, and the broader socio-economic-political environment in which this merger seeks to take place. This proposed $143 billion merger, which would create the third-largest merger ever if it were to be accepted today, has the potential to see one organisation be in the incredible position of ‘selling over 400 consumer/household goods to over a third of mankind’, and would see it control 3% of the global market for packaged food and would, potentially, see disputes like that seen between Tesco and Unilever become a thing of the past, thus would be the significance of the power shift in the manufacturers favour. What this may mean for consumers will also be discussed. The proposed merger has been well documented over the past couple of days, and is garnering opinion from a range of diverse sources. 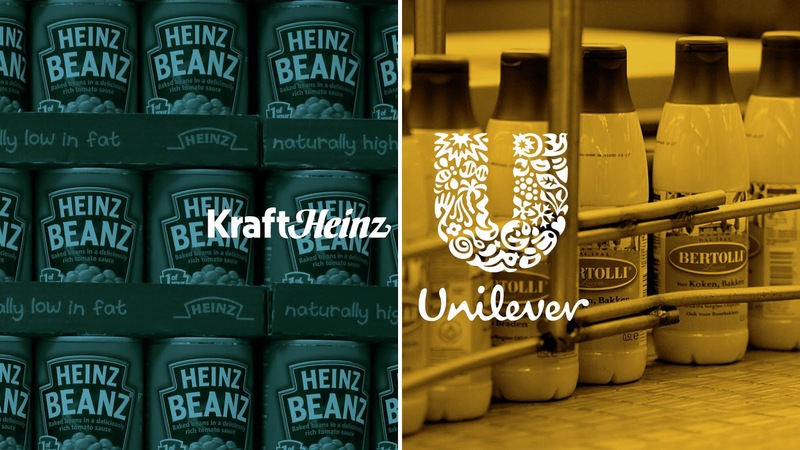 At the moment, Unilever is defending itself against the prosed merger, stating that there was ‘no merit, strategic or financial’ to the deal being offered by Kraft Heinz. Yet, Kraft Heinz remains optimistic, stating that it looked ‘forward to working to reach [an] agreement on the terms of a transaction’, which subsequently sent shares in Unilever soaring to record highs, not seen since 1983. The issue of shares can highlight for us the first, and perhaps main reason for the unsolicited approach. The approach has been said to have undervalued the company, and that the approach is representative of ‘cheap money meeting industrial logic’, which relates to the slump in the value of the pound since the Referendum last year, in comparison to the recent surge in the dollar since President Trump’s inauguration in January. This phenomenon has been called a ‘dollar exuberance’ on the one hand, and the falling value of the pound as generating ‘Brexit Predatory’ behaviour on the other, all based on a 15% difference between the two currencies at the time of writing – arguably making it a ‘cash-neutral’ purchase for a US purchaser. Furthermore, both companies’ stocks have risen sharply because of the news, with Unilever’s shares experiencing a 14.5% increase, and Kraft Heinz experiencing a 4% increase. Yet, the figures mask a wide-range of criticism which is hard to ignore, as is the actualities of the proposed takeover and likely result of success. MPs have been quick to comment. It has been suggested that such a deal represents the pinnacle of a ‘fire-sale’ of British businesses since the referendum – this is backed up by the sale of leading technology firm ARM Holdings to Japanese organisation SoftBank, which at $32 billion represented a bargain and, according to ARM’s co-founder Hermann Hauser, a ‘sad day’ for the British Technology industry. Furthermore, Tim Farron, leader of the Liberal Democrats, noted that ‘this deal would not be happening without Brexit’, whilst Labour MP Iain Wright stated that ‘a lot of very good British companies will be subject to fire sales without taking into account their performance and quality’, ultimately warning that Unilever was now in danger of being asset-stripped. This issue of a potential asset-stripping of Unilever is a real issue, as demonstrated by the composition, history, and character of the Kraft Heinz Empire. Kraft Heinz is owned by the infamous investor Warren Buffett and his ‘Berkshire Hathaway’ investment holding company, and 3G Capital, which is also a renowned ‘buyout’ firm, with the characteristics of the two entities providing for an alarming understanding. 3G is known for its orchestrating of ‘large debt-laden acquisitions’ and its ruthless approach to cost-cutting, which it labels as ‘zero-based budgeting’ and, as the co-founder Beto Sicupira crudely stated, revolves around the notion that ‘Costs are like [finger]nails: they always need to be cut’. So, there are two potential issues at play here if Unilever were to accept the deal. Firstly, Unilever’s workforce of 168,000, (7,500 of which are in the UK at plants up and down the country) would be in constant danger of their position, with it being noted that employees of a 3G-controlled entity can expect ‘widespread layoffs, lower budgets, new levels of austerity, and a shift in the corporate culture’ – even though British employees of Unilever have hardly been having a great time with Unilever, the merger would represent a dangerous period for their employment with the firm, should it take place. Secondly, the issue of asset-stripping is arguably a nailed-on certainty if the merger were to take place, as one financial analyst notes: ‘we expect Kraft Heinz to float, divest, or sell the HPC (Home and Personal Care Unit)’. The ‘focusing’ on the food and beverage side of the business, is potentially just another version of asset-stripping, which is deemed central to the 3G approach to business. Arguably, this deal potentially signals that the predatory environment post-Brexit is well underway. The supporters of the U.K.’s decision to leave the EU will focus upon these stories as demonstrations of the U.K.’s ability to attract investment now that it is leaving, but that is simply not the case. Instead, the decision to leave the E.U. and place the U.K. in serious economically-uncertain waters is opening up its workforce to particularly predatory organisations, with this case providing a particularly good example – Unilever, a massive company that emphasises sustainable business, is being pursued aggressively by a firm known for asset-stripping, cost cutting, and has a credit rating five notches lower than Unilever because of its approach to business, just one notch above ‘junk’ status – the pre-referendum Leave Campaign claims of workers’ rights being safe post-Brexit are now being tested. Also, this takeover attempt is just one component of an array of deals which leaves the positions of workers in the U.K. in particular danger, as demonstrated by the proposed acquisition of Vauxhall by French company Peugeot. Ultimately, the recent words of former Business Secretary Vince Cable are telling. He discusses the impact that Kraft’s takeover of British icon Cadbury had, a takeover which will ultimately be remembered for the ‘broken promises’ after the takeover was completed; the even recent history of allowing speculative firms to take over iconic elements of one’s economy are there for all to see. On this front Mr Cable suggests that Prime Minister May is faced with a particular dilemma: either she sits back and says that Britain is ‘open for business’, which he brands as a ‘bit pathetic’, or they ‘try to fight it’. This ability to rebuff takeover attempts, in the national interest, is an interesting aspect of the Mergers & Acquisitions regulatory framework. Speaking about the failed attempt of Pfizer to take over AstraZeneca in 2014, Theresa May said that a ‘proper industrial strategy wouldn’t automatically stop the sale of British firms to foreign one, but it should be capable of stepping in to defend a sector that is important’ – arguably, now, Theresa May will be judged on that basis. Iain Wright has suggested that this takeover is a test of the Government’s Industrial Strategy and the new powers given to the Competition and Market’s Authority, and this is very much the case. The Pfizer deal in 2014, and its subsequent collapse, shows that if a Government really wants to interfere and rebuff an approach for one of its Nation’s companies, then it can. The need for the Government to assist Unilever in defending against the takeover attempt of Kraft Heinz is of paramount importance. Unilever has many issues, particularly when it comes to its approach to its workers, and also its approach to leveraging against consumers in favour of its shareholders, but allowing it to be taken over by a company like Kraft Heinz would be irresponsibility personified by this Government. Whilst takeovers may be good for business, allowing a firm with a credit-rating one notch above ‘junk’ status, who systematically strip firms of their assets, who demean and threaten the livelihoods of the workers they inherit, and all in the name of profits for their shareholders, is not only bad for business, but is downright reckless. The need to prosper after Brexit is a real issue for Theresa May, admittedly, but it cannot come at the cost of the Country’s wellbeing. Moves like this, and the proposed takeover of Vauxhall, are directly threatening the Country’s workforce, and thus its long-term social health. One wonders whether former Prime Minister Tony Blair’s call for a reassessment of the decision to leave the E.U. should be treated with as much contempt as it has been recently. The ability to reassess an original and unbinding decision, especially based on the information that was (or indeed was not) publicised by both Campaigns during the referendum, may be of particular use in such an extraordinary period of time.